Zwilling J. A. Henckels was founded in 1731 and is one of the oldest brands in the world. Based in Solingen, Germany, with a worldwide reputation for the highest quality and craftsmanship, the group has a presence in over 100 countries. Zwilling J. A. Henckels delivers the highest quality functioning tools required for personal care and prides itself on a tradition in quality materials, excellent workmanship, high functionality and durability with every tool sold. 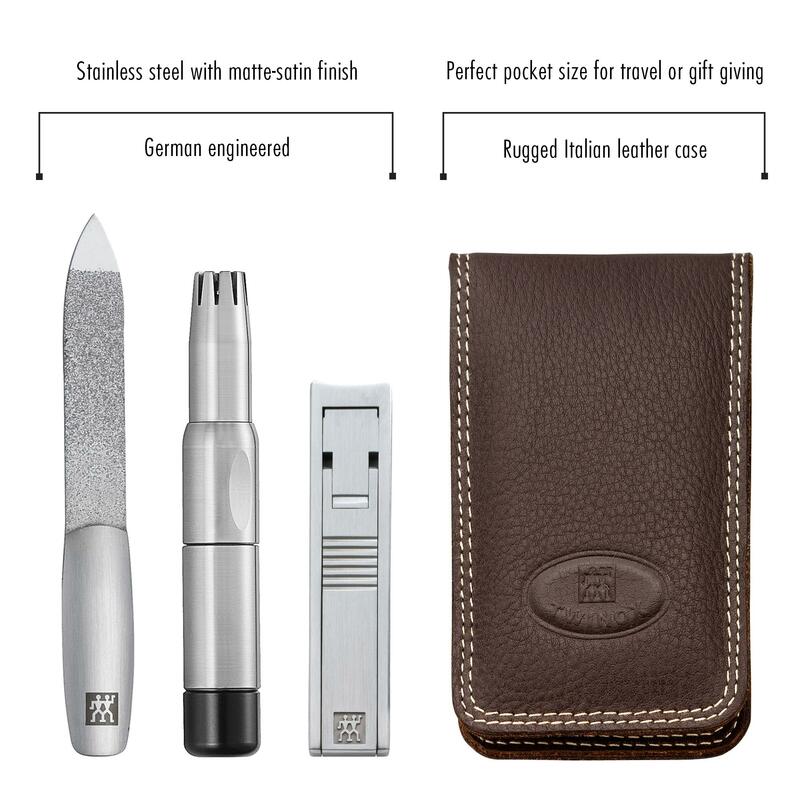 Convenient pocket set with high quality, German engineered precision stainless steel essentials to groom facial hair and nails in an elegant fine Italian leather case. 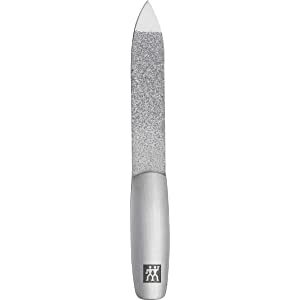 Keep hands neat and well groomed using this specially designed file to gently shape and seal nail edges with flawless precision. 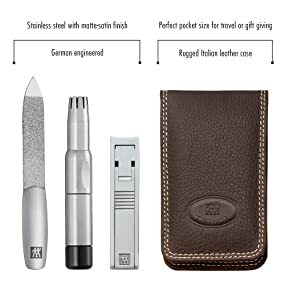 This award winning folding fingernail clipper is famous for innovative design, German engineering, and excellent precision. Features a luxurious satin finish in premium quality stainless steel with ultra-sharp, curved cutting edges. 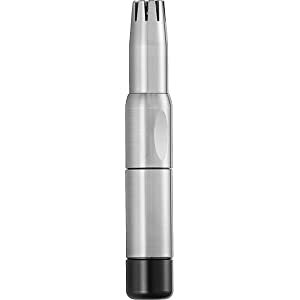 Stainless steel, rotating blades remove unwanted nose and ear hairs safely and reliably. The body can be disassembled after use for easy cleaning. Use the course side of file to shape nails, filing in one direction to prevent damaging the nail. Use the fine side to smooth nail edge. The blade tip can be used to clean your nails. Push and slide lever back to open. 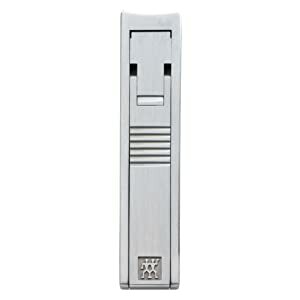 Lift level up to 90 degree angle then slide forward to activate clipper. Press down to clip nails. Insert trimmer slightly into nostril or ear and turn handle. Trim visible hairs only.